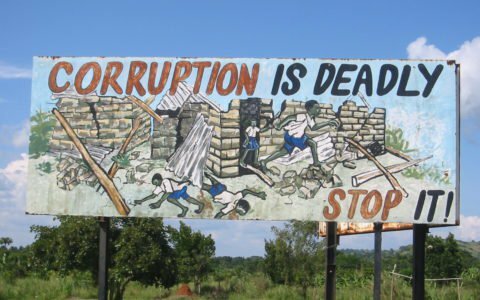 This project investigates the important integrity nexus in development – urbanisation and corruption – and works with a group of pivotal stakeholders – urban planners – that is uniquely positioned to help address related corruption risks. Compromising the public good for personal, professional, or political gains – also known as corruption – is a global challenge. The effects of corrupt urban planning decisions have long-term and often irreversible negative impacts on cities. The New Urban Agenda calls on all countries to ‘promote capacity development programmes to help sub-national and local governments in financial planning and management, anchored in institutional coordination at all levels, including environmental sensitivity and anti-corruption measures.’ However, municipal officials, political decision-makers, civil society advocates and built environment practitioners still possess only very few practical tools that help them to better understand and effectively address urban planning corruption. Urban planners are uniquely positioned to address corruption risks in urban development. Instead of testing standard anti-corruption measures we examine a rather under-explored, yet promising route, the activation and promotion of professional integrity and the professional structures that enable it. The insights generated through this research will be relevant for policy and practice across Africa and will inform broader integrity strategies that focus on professional communities and their professional bodies. We will focus on how professional communities of planners in South Africa and Zambia live up to their roles as drivers of integrity. We aim to pursue a three-tiered approach: One, to examine the current ‘integrity landscape’ in urban development and particularly amongst planning professionals. Building on a mapping of existing mechanisms and practices to develop, promote and enforce integrity as a professional norm, we’ll then identify the public roles and responsibilities practicing planners in South Africa and Zambia see for themselves, as well as the pressures they face by working as a hinge between the public and private sector. This will inform a qualitative action experiment built around a targeted training intervention for planners in Zambia, including a feedback mechanism that surfaces and harnesses different and potentially conflicting expectations around the role, responsibilities and everyday practices of planners. Prof Vanessa Watson (Principal Investigator) is a professor of city planning in the School of Architecture, Planning and Geomatics at the University of Cape Town. She holds degrees from the Universities of Natal, Cape Town and the Architectural Association of London, and a PhD from the University of Witwatersrand, and is a Fellow of the University of Cape Town. Dr Gilbert Siame (Co-PI) is a lecturer and researcher at the Department of Geography and Environmental Studies at the University of Zambia and the director of its Centre for Urban Research and Planning. He holds an MA and PhD in City and Regional Planning, both from the University of Cape Town. Dr Laura Nkula-Wenz (Researcher & Project Coordinator) is a lecturer at the African Centre for Cities and the project’s research coordinator. She holds an MA and a PhD in Urban Geography, both from the University of Muenster/Germany. Stephen Berrisford (Senior Project Adviser) is an Associate Director at Pegasys and leads its Cities practice. He holds a Master’s in Land Economy from the University of Cambridge, Master’s in City and Regional Planning and an LLB from the University of Cape Town. Dr Dieter Zinnbauer (Senior Project Adviser) works on emerging policy issues and innovation in the areas of governance, urbanisation and technology. He holds a PhD in Development Studies from LSE.